Bollywood superstar #SalmanKhan has now become the richest Indian celebrity, according to the 2018 #Forbes India Celebrity 100 list. The actor's earnings are pegged at Rs 253.25 crore. 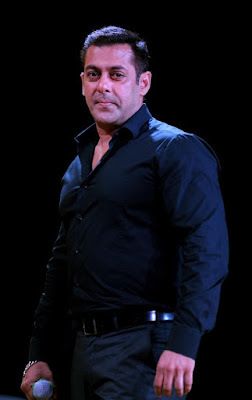 Salman, maintained the top spot with help of releases in 2017 and 2018 like "Tiger Zinda Hai" and "Race 3". His earnings were backed by endorsements of several consumer-facing brands, and constitute 8.06 percent of the total earnings -- Rs 3,140.25 crore -- of the top 100 celebrities for the year, read a statement from Forbes. Newly-wed Deepika Padukone broke into the top five on the Forbes India Celebrity 100 list and became the first woman celebrity to find a place in the top five at the 4th rank. Deepika was last seen in the controversial hit release 'Padmavat'.